We design, analyze, and construct a balsa wood model skyscraper to resist earthquakes on a shake table. In the beginning of the year, we work in small groups to create various one-story structures and subsequently load them until they break. In this process, every member can become familiar with building balsa wood models and better understand the overall design process. Afterwards, we explore several components of the structure such as the structural system, architectural styles, and process of construction. We also use and hold tutorial sessions and workshops for programs like SketchUp and SAP2000 to help further understand these ideas. With sufficient research and additional guidance from our professors, we then produce, tes﻿t, and analyze several prototypes on a shake table. 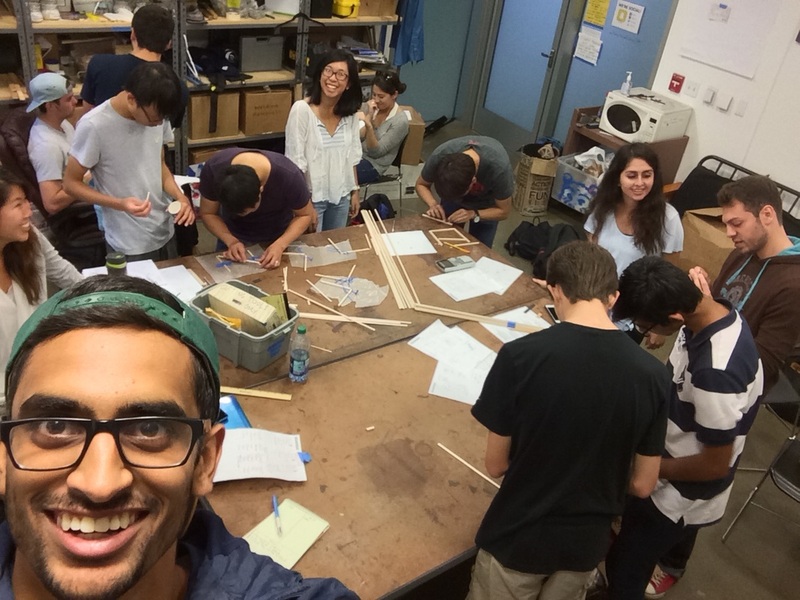 After this rigorous testing procedure, we finalize our structure before going to competition. 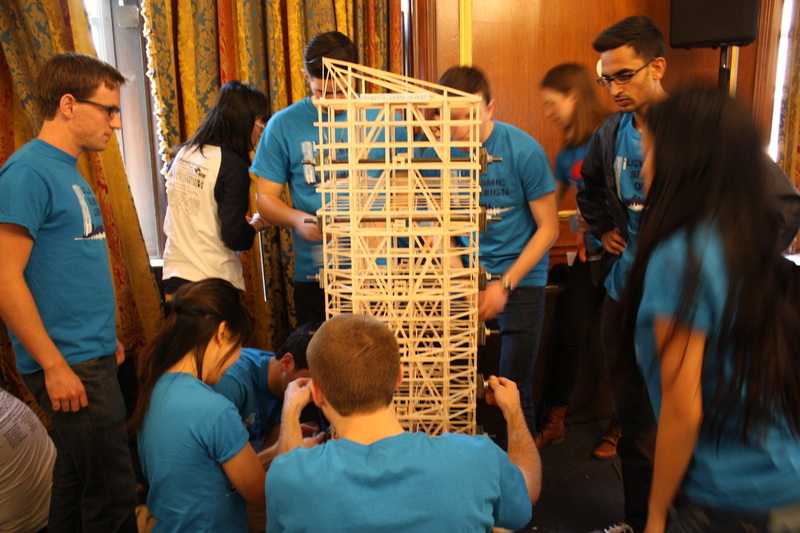 At the competition, our structure is subjected to three ground motions, which represent different return period earthquakes. In addition, the response of the model in terms of roof drift and roof acceleration are measured for the first two ground motions. The math behind the calculation of these measurements can be found ﻿here﻿. 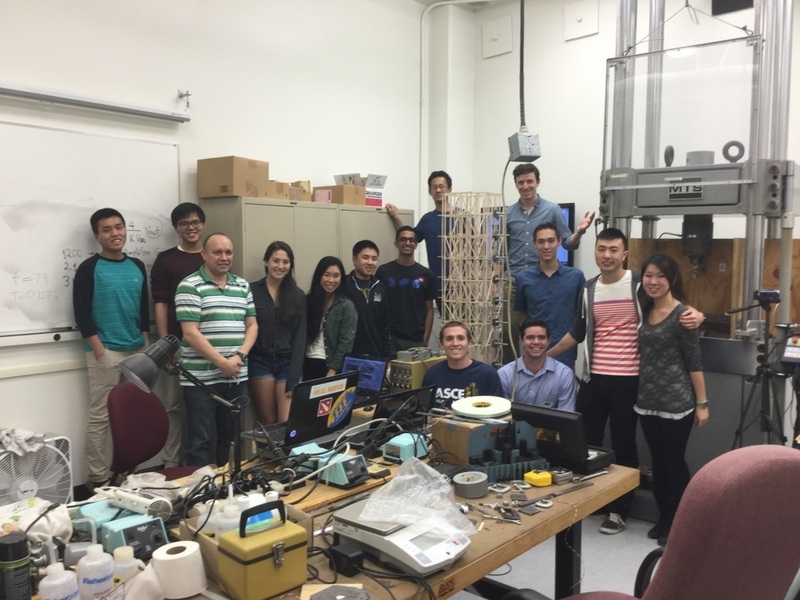 But essentially, we get points for how well our structure undergoes the different tests. 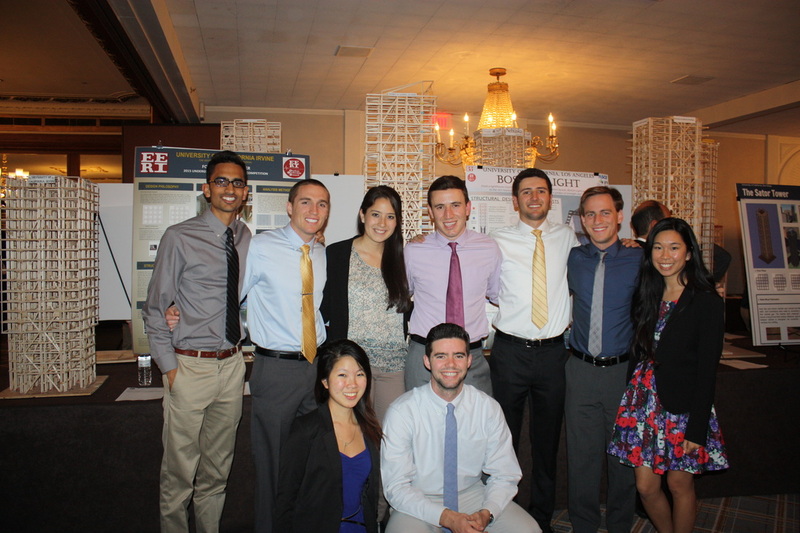 We also get points for our presentation and poster in which we highlight our design. 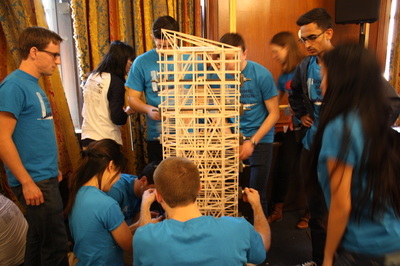 In 2010, we started competing in the international Seismic Design competition, which is hosted annually by EERI (Earthquake Engineering Research Institute). Only two years later at the 2012 EERI conference in Memphis, Tennessee, we won first place in the national competition. 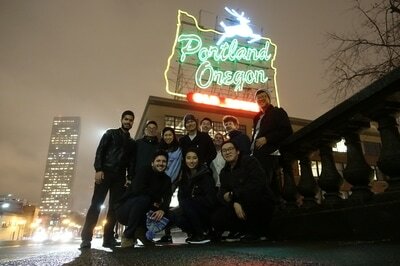 In 2013, we would defend our title by taking home first place again in Seattle, Washington. After falling short in Anchorage, Alaska for the 2014 competition, our team came back strong in the following year, winning second place out of 38 schools and snatching the coveted CSI Communication Award in Boston, Massachusetts. 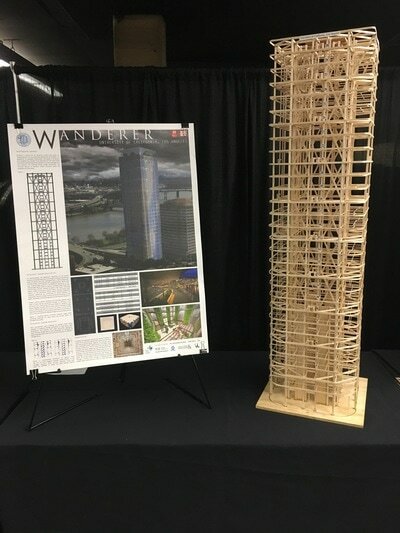 This year’s competition will be held in Portland, Oregon, where we hope to reclaim our title of Seismic Design world champions! No matter how large or small the project is, keeping budget is always a concern. 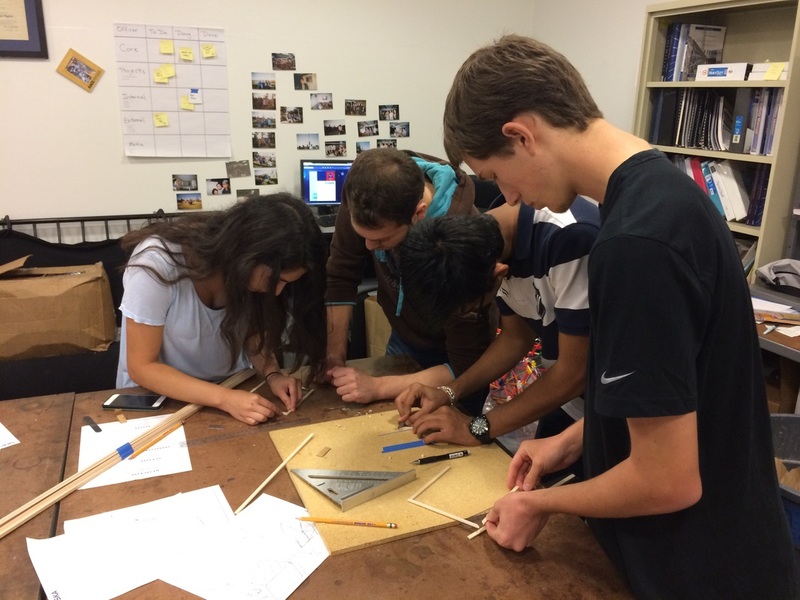 Our Seismic Design team would greatly appreciate it if you can help us purchase project materials like balsa wood, wood glue, tape, etc. Also, transporting our members and the structure to the competition are major hurdles for the team to cross. Sponsoring the team will go a long way in helping the team meet its goals. Student members can also help through active participation in the project. We encourage student members to join our Facebook group to stay updated and involved.